On Tuesday, three female students at Yale University filed a lawsuit against the university and nine fraternities to force the fraternities to accept women as members. Two juniors, Ry Walker and Anna McNeil, and Eliana Singer, a sophomore, claim that sororities simply don’t have as much power and influence as fraternities. When Ms. McNeil, Ms. Singer, and Ms. Walker arrived on campus as first-year students, they encountered a thriving all-male fraternity scene. Yale had a drastic shortage of University-run social spaces, and the fraternities were the de facto social environment students. Male students routinely controlled the admission, alcohol, lighting, and music for many Yale social gatherings. This dynamic created dangerous environments in which sexual misconduct thrived. 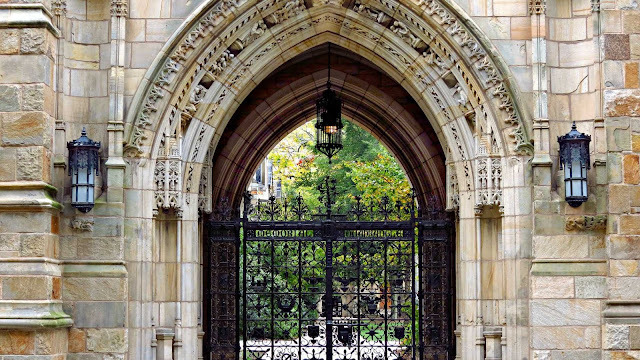 The lawsuit attacks Yale for fostering an environment in which the university ceded social events “to the Fraternities while refusing to regulate them or enforce appropriate safety standards. Yale now allows the Fraternities to use Yale resources (and recruit Yale students) while largely turning a blind eye to the sexual harassment and assault occurring in connection with the Fraternities." In fall 2016, McNeil and Walker helped create a student organization called “Engender,” which maintained that Yale’s fraternities must be integrated by gender. The New York Times reported that Joan Gilbride, a lawyer for the fraternities, called the accusations “baseless and unfounded,” adding that the fraternities would stoutly defend themselves from the charges.